I started coming to the Lincoln Park Zoo as a child and I never stopped! As a mother of three, I brought my daughters here on a regular basis and I am happy to say they love the zoo too! 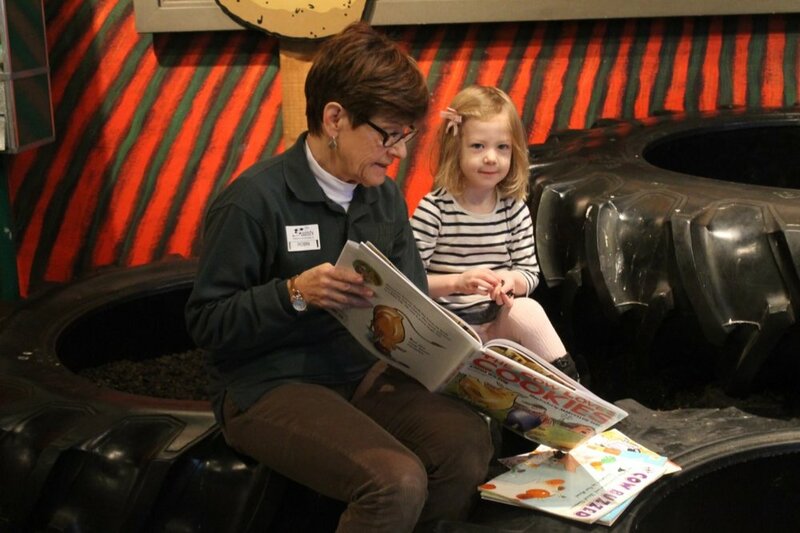 A zoo volunteer, I jumped at the chance to join the Learning Department as a Early Childhood Facilitator. I enjoy interacting with all zoo guests, but I especially love encouraging curiosity and enthusiasm in our youngest visitors. I really enjoy connecting toddlers and parents to nature though the immersive and sensory-rich play activities at LEAP. For as long as I can remember, I have enjoyed being outdoors. I grew up visiting Giant City State Park in Southern Illinois, squeezing through caverns and collecting leaves. I will always remember the sense of peace and awe I felt there. I am excited to bring that same peace and awe to Lincoln Park Zoo’s visitors. I've been a lucky member of Lincoln Park Zoo's staff since 2013. In past years, I’ve led Conservation Camp and helped with curriculum development. Now, I’m focused on showing our littlest visitors why Lincoln Park Zoo is so amazing. The LEAP program invites children to explore and connect with nature – right here in the middle of the city! Growing up my interactions with nature were split between Chicago, USA and Monterrey, Mexico. The natural areas available fed my sense of curiosity and exploration, and as time went by I began to appreciate the different experiences and ecosystems each city provided. My interest in the natural world lead me to the study of ecology and the realization that everyone can be fascinated with nature, especially children! This is why I am so excited to continue working with children at LEAP by helping them interact and play with nature! I have been visiting Lincoln Park Zoo since I was a child. A long, long time ago, I loved going to the Children’s zoo to watch the Chimpanzee tea party or see the babies in the nursery being cared for by the keepers, but away from their mothers. I always wanted to help at the zoo too, but life got in the way. I went to college, I became a school social worker, had 2 daughters and 3 grandsons. and spent many decades working with and advocating on behalf of children. Eventually,16 years ago, life slowed down and I started volunteering at the main zoo and later at the farm. It was remarkable to see how some urban kids had no idea that Cows could make milk by eating hay and that eggs were from chickens. I was thrilled when I learned that there were openings in The LEAP program which takes advantage of children’s natural instinct to play as they learn. It is so much fun to provide unique opportunities for kids here at the zoo to explore and learn in a natural setting while interacting with the animals and the environment. There are no more tea parties with Chimps at the zoo, but when children come to the LEAP program, they can learn about the chimps and gorillas in the Regenstein Center for African Apes where they can explore about what chimps play and what gorillas eat. Or, kids can use our props and pretend they are apes. I am so thrilled to be a part of this process. Nature has always been a vital part of my experience in the world. As a child on the northwest side of Chicago I spent a lot of time playing in my neighborhood parks, my friends’ backyards, and exploring the Wisconsin wilderness on family vacations. Now I feel lucky to have the opportunity to manage a team that helps other Chicago families connect with nature at Lincoln Park Zoo and in their own neighborhoods. Though you won't see me at class every week, I'll be following along on your child's journey in LEAP through stories from staff, program photos and hopefully getting to know you in person when I do join a class!